There are a lot of food options at the grocery store… almost to the point of feeling overwhelmed just choosing a box of cereal or a can of soup. There is also a lot of consensus on the standard foods for survival, which I will list below. You can also choose to create your own survival foods. Over at The Survival list Blog, they have outlined one such recipe for survival. It consists of a one-half pound each of pinto beans, corn, wheat, and rye. It requires cooking on a crockpot or over a flame. The issue I see with these types of recipes is that it will be relatively hard for someone to prepare if a worst case scenario happens. Most people will want or only be able to eat already prepared foods, canned food, or something as simple as rice. The following foods I’ve listed below are among the most popular emergency foods that should be seriously considered as your “must haves” in case an emergency arises. The advantages of storing these survival food items are they all have longer shelf lives. But perhaps more importantly, these foods are very affordable and also versatile. This makes them worthy of being on your storage shelves for extended emergencies. Please keep in mind that water is your most important prep. You absolutely need water for consumption, food preparation, and sanitary needs. Water is really crucial to everything else one might consume. So, be sure that you have a large amount of water stored away for emergency use. You can use this survival food list as a starting point to grow your own list of must-have items. When making any foods it’s always a good idea to keep your family’s food preferences and dietary needs in mind when investing in your food supply. Do you have any items that we should have added above to the list? It is indeed important to stock up foods for us to be prepared in case of emergencies and disasters. If you’re planning to store some foods for survival, here are some products we can recommend. Canned fruits are one of the most ideal foods you can stock up for survival. This fruit cocktail is preserved in syrup, meaning, it can be kept for a longer period of time. And since it is canned, it can be stored easily as well. It contains fresh, tasty, and juicy fruits that you can eat when emergencies or disasters occur. Aside from canned fruits, stocking up canned vegetables is also essential. An example is this cut green beans from Hanover. You can also find other canned vegetables such as pumpkin, corn, carrots, and peas. Just like canned fruits, they are very easy to store and can be ready-to-eat as well. It’s also great to stock up on snacks like biscuits or crackers because they are ready-to-eat and easy to bring on the go as well. If all of your means of cooking are out, crackers can save you from hunger. An example is these crackers from Club Crackers. They are light, flaky, and buttery crackers with a touch of salt. They are also cholesterol free and not that high in fat. They are also packed conveniently for easy storage and for travel as well. Nuts are known to be great trail foods for hikers and mountain climbers, meaning, they are also great foods for survival that you can stock up on. An example is this mixed nuts from Signature’s Kirkland. But aside from this, you can also find others such as cashews and roasted peanuts. If you’re including pasta sauce on your list, then you might want to try this 4-flavor variety pack from Dave’s Gourmet. It includes Roasted Garlic and Sweet Basil, Creamy Parmesan Romano, Spicy Heirloom Marinara, and Butternut Squash. All of them are gluten-free and non- GMO. There are placed in glass jars which you can store easily. Of course, if you will be stocking up on pasta sauce, you shouldn’t forget the pasta as well. This pasta from Barilla is a pack of 16, 12 ounces half-cut spaghetti. This is an easy-to-prepare pasta which can be ready in just a few minutes. You can prepare it in one pan and there’s no need for you to wait for the water to boil and there’s no draining required either, making it great for survival. Aside from this half-cut spaghetti, they also have penne, elbows, linguine, and rotini. These are 3 packs of big seasoned flour that are great for storage. Flour is useful for breading or coating meats, seafood, and vegetables. You can also use it to make gravy, and it is an essential ingredient for baking and for cooking other dishes that’s why it is also great to have for survival. This spice tower contains 20 jars of different spices such as basil, garlic salt, rosemary, oregano, marjoram, and more. Aside from that, it also comes with free spice refills for five years, you just have to register it to their website. Spices are essential foods for storage because they are used to add flavors to different dishes. If disasters occur, it might be difficult to find seasonings or spices, so having some stocks at home is great. Sugar is another important thing that most of us uses every day that’s why it should not be missed on our list of foods to store for survival. This white cane sugar from Raw Threads is a pack of 4, 240-ounce bags of organic sugar. Plus, it is healthier compared to other white sugars that you can purchase. These cubes are also essential to store because they can enhance the flavors of soups, stews, casseroles, and other savory dishes. They are all vegetable cubes, suitable for vegans. In case of disasters and you cannot find fresh vegetables to cook, these cubes can be great alternatives. Aside from vegetable cubes, there are also chicken cubes that you can use for broth soup in case there are no chickens available in the market. It also comes in other flavors such as beef, shrimp, and pork. Baking soda is another essential thing you can add to your food storage list because it’s a very useful kitchen staple. It can be used in cooking and baking, and also for deodorizing and cleaning. This baking soda from Earthborn Elements comes in a 3.5 gallon. It is all-natural with food and USP pharmaceutical grade. This is a 5-pound jug of honey that you can store for survival. It is 100% pure honey that you can use for baking and for making beverages. It is sourced from organically farmed fields in remote areas worldwide, giving you a light and smooth flavor. This is a premium unsweetened cocoa powder that contains 24% cocoa butter. It can also be suitable for vegetarians and vegans. It is gluten-free and one of the most popular cocoa powder among chefs and bakers all over the world. It is a useful kitchen essential that you can add to your survival storage list. The best survival foods are those which are easy to prepare and one example is this Jell-O instant pudding mix. It is naturally fat-free and it does not contain artificial sweeteners. Each serving of this pudding contains 100 calories. In just 5 minutes, you will be able to prepare a delicious dessert by just simply adding milk. Another instant food that is great for survival is oatmeal. These oats from Quaker are very easy to prepare. In just about 3 minutes, you will be able to enjoy a delicious and healthy breakfast or snack. It is great to store for survival because not much is needed to prepare it. It’s also important to stock up on cooking oil because it is one of the most essential things needed to cook foods. This is a pack of 3, 40-ounce corn oil from Mazola that is great for storing. Aside from corn oil, you can also go for vegetable, coconut, and olive oil. Just like oats, another instant food that is great for survival are cereals. This Kellogg’s breakfast cereal is one of the best ones you can store. It is a delicious cereal and a good source of vitamins as well. Plus, it is also fat-free. Edible seeds are also great as survival foods. These pumpkin seeds are antioxidant-rich super foods that can help protect the body from dangerous disease-causing free radicals. They can also help in reducing inflammation. It is indeed a great addition to your food storage for survival. Aside from storing seeds for eating, you should also store seeds for sprouting. 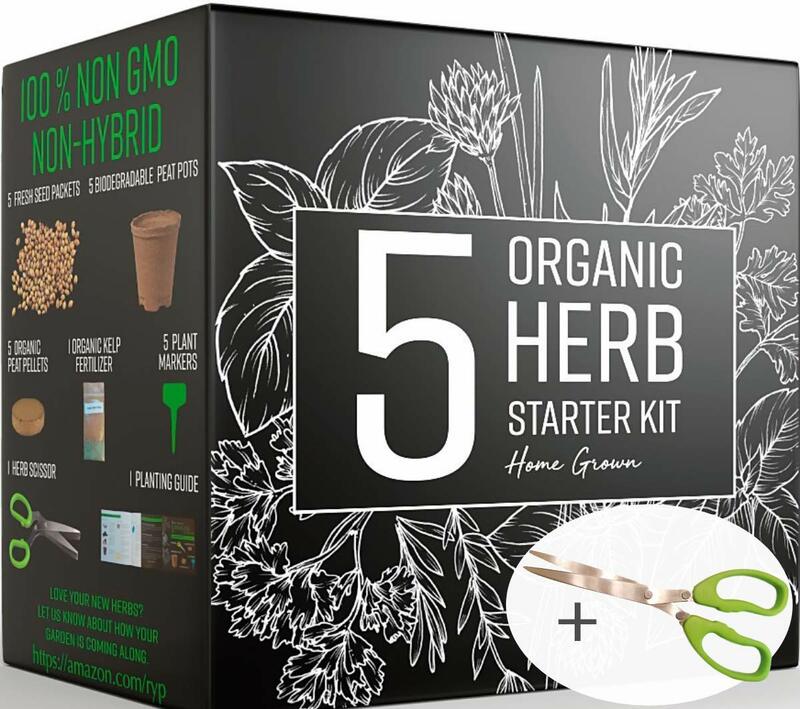 This herb garden grow kit contains seeds of 5 herbs and they are very easy to grow. Yes, we can stock up foods, but it is still great if we can also plant some for future purposes as well. These popcorn seeds are fresh from the farm. They are USDA Certified organic and non-GMO. You can store these seeds for eating, making them great for survival as well. They are a delicious, healthy, and high-fiber snack. It’s also great to store instant potato flakes because it will allow you to make mashed potatoes easily. This instant potato flakes from Kauffman’s Fruit Farm comes in a 1.8 lb. bag, which is great to store for survival. Stocking up on different ingredients for cooking is great but you can also store packaged meals or ready-to-eat meals like this HMR variety pack. It includes 2 servings each of Penne Pasta with Meatballs in Sauce, Rotini Chicken Alfredo, and Lentil Stew. These are very delicious meals that can be prepared in just one minute. There’s also no need to refrigerate them until opened. Fruit juices are convenient on the go drinks, that’s why they are also great to store for survival. These juices from Back to Nature are 100% from concentrate. They are gluten-free and non-GMO. They do not contain hydrogenated oils or high fructose corn syrup as well. Water is the most essential thing for survival that we should not forget. This purified drinking water from Puravai is made especially for emergency and survival. It has a shelf life of 20 years. They are packaged in extremely durable water bottles and is certified 100% bacteria-free. Make sure to store plenty of water for survival. These are some of the top survival foods for storage we can recommend. Of course, when choosing what foods to store, you must always consider you and your family’s needs and as well as preferences to be able to make a worth it investment on your food supply. We hope the list and products we shared will help you create your own list of survival foods for storage.